A Creative Summer sizzler in Ilkley this August! 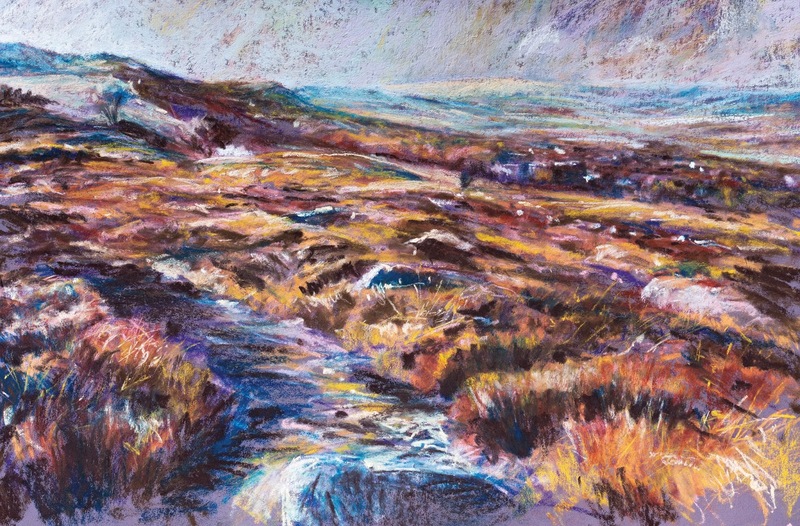 I've been invited to join 'The Ilkley Art Show' at the prestigious Kings Hall and Winter Gardens in Ilkley, North Yorkshire this year to do a workshop with pastels and demonstrate too. Fantastic! Included: Canson Mi-Tientes 'Touch' 350gsm pastel paper (half sheet), Pip Seymour pastels (select colours from the full range), your high quality photographic reference to choose from to work from on the workshop on loan from Robert (for the duration of the workshop) Roberts award winning tuition teaching lots of different pastel techniques to help you develop further as artists in a fun packed workshop with a superb learning experience! Drawing boards, masking tape, fixative and so on all provided. More experienced pastelists may also bring their own pastels to use as well if they wish. Contact: The Ilkley Art shop on 01943 609031 to book your place or to discuss further details of this superb offer. 18.5 x 12 inches (47 x 30cm). As a UK Canson Ambassador my workshop on Saturday 15 august (1pm to 3.30pm) 'Moorland colours' is sponsored by Canson (the internationally renown paper company producing innovative fine art papers) so this gives you a fabulous opportunity to try out their brand new and popular Canson Mi-Teintes 'Touch' pastel paper which is absolutely great to work on. You'll have the chance to work with some really great soft pastels into the bargain too with hand made pastels made by Pip Seymour (from Yorkshire) who sends his products all over the world. Picture perfect ...or as near as it can be anyway! Your reference to create your colourful expressive pastel from of Ilkley Moor I've taken myself with a quality camera and printed them as A4 for you to loan on the day so all you need do is turn up, have a fab time, learn loads of art techniques from me and go home with a superb and memorable experience and a great painting too! You don't have to be brilliant at pastels either to come. This may be your first experience with pastels or you may be an enthusiastic artist with a desire to try out new materials and techniques. Whatever your experience, this fab workshop caters for you all! I look forward to teaching you all some great pastel techniques very soon. It will be a great afternoon exploring those moorland colours - I can guarantee it!